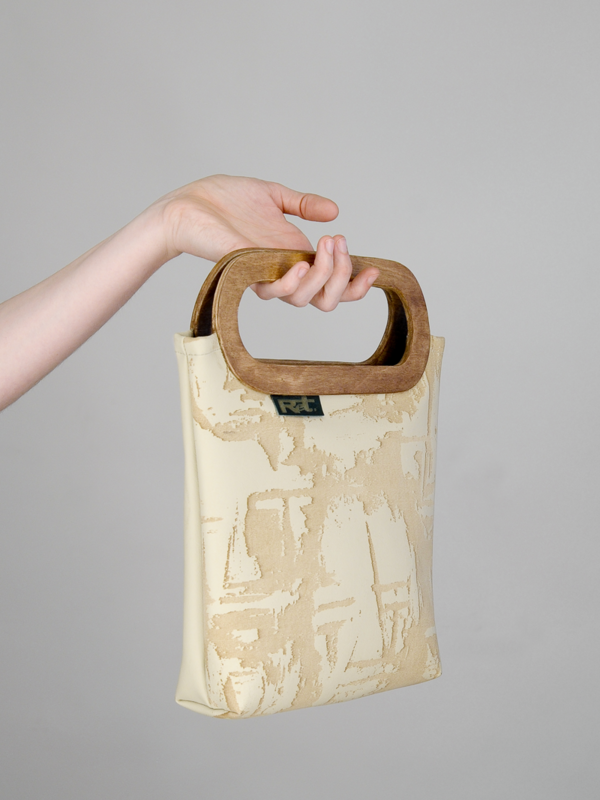 Unique handmade bags. 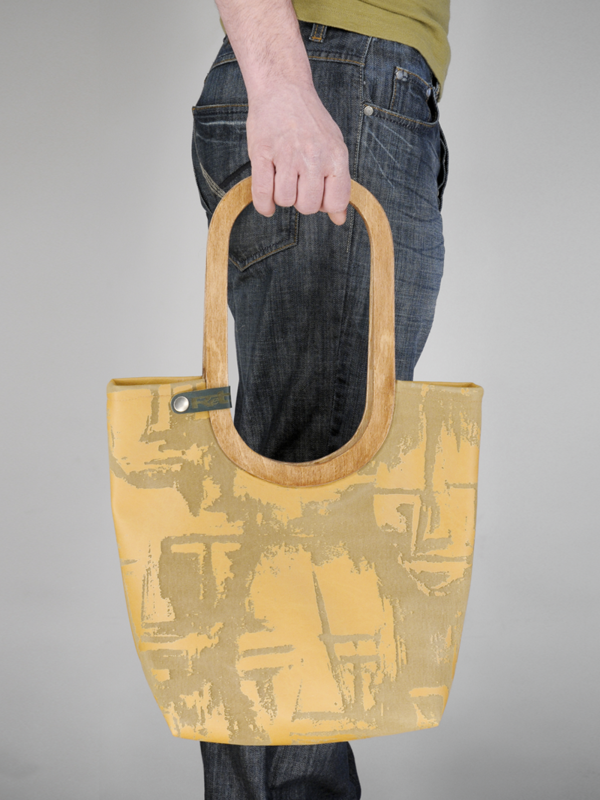 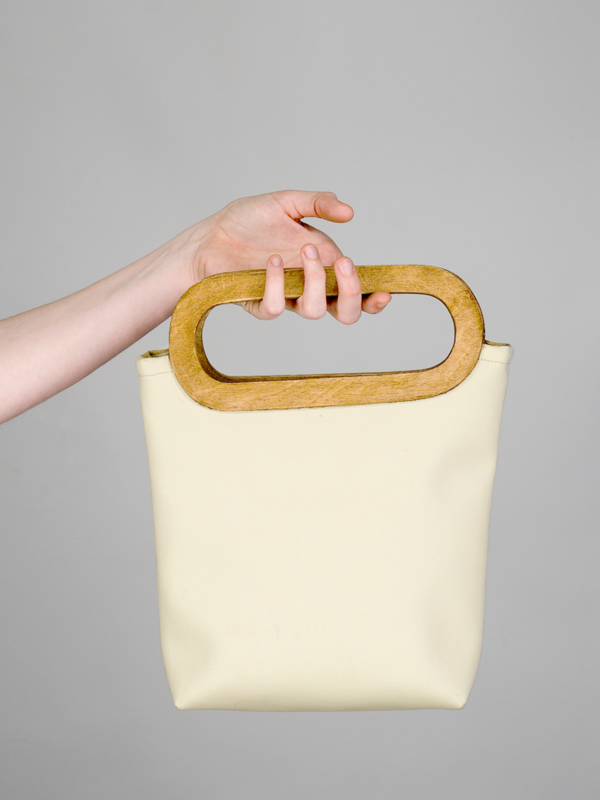 These imitation leather design bags with wooden handles are made in collaboration with artist Tim Schrijver. 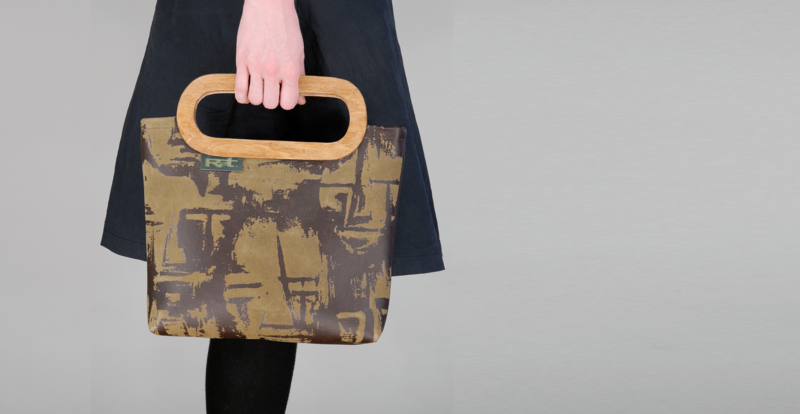 The pattern is a painting of Tim that is burned in the leather by using laser technology. 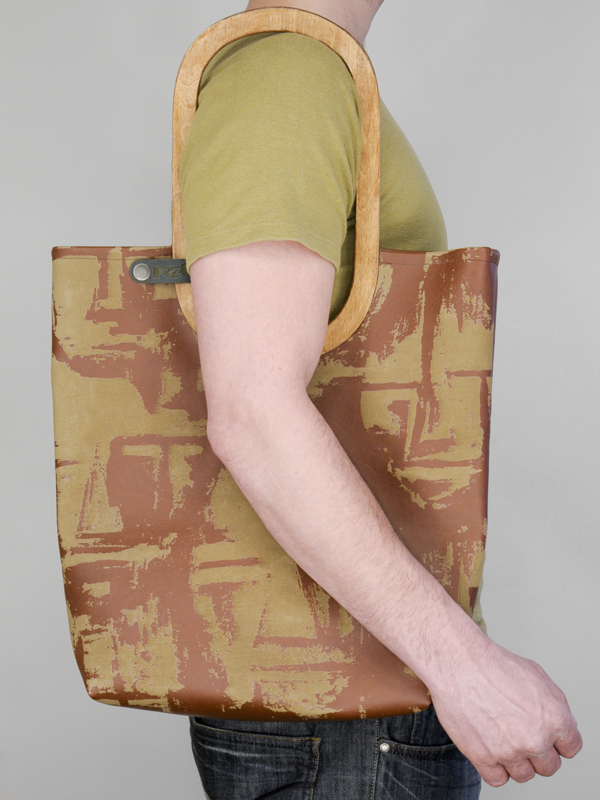 The bag is available in 2 sizes and can be closed with a press stud. 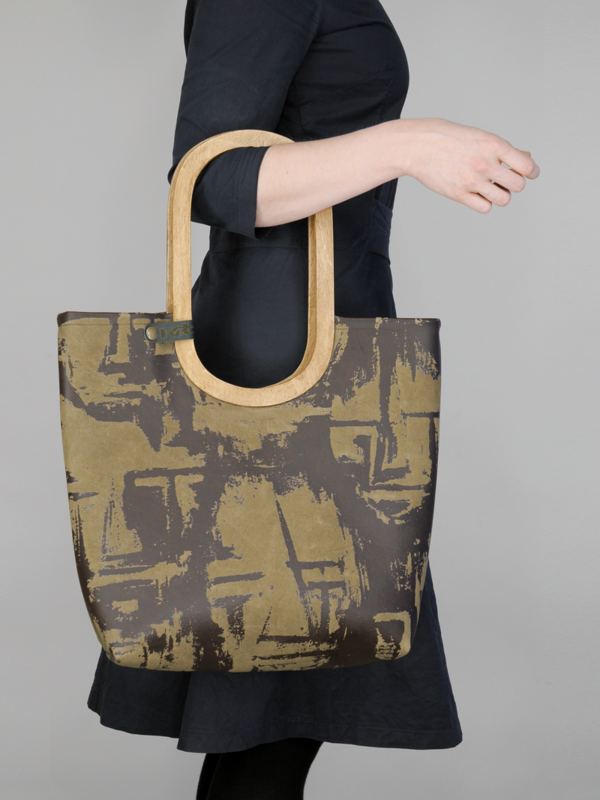 ReT-Label bags are handmade, so each bag is unique. 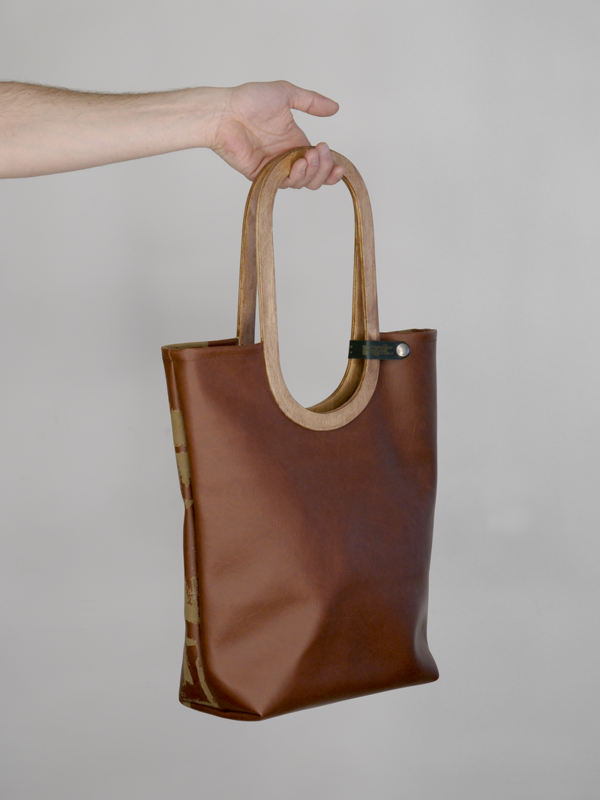 Available colors: ochre, ecru, light grey, dark grey, light brown and dark brown.